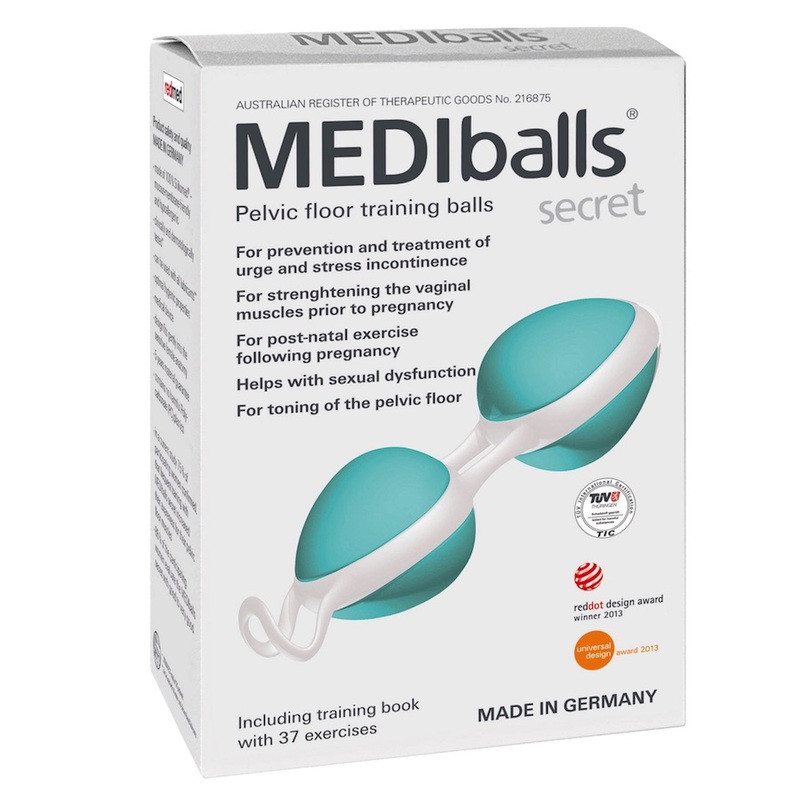 The MEDIballs Secret Pelvic Floor Training Ball offers women a discreet and comfortable way to strengthen and rehabilitate weakened pelvic floor muscles due to pregnancy, age, or trauma. The MEDIball Double is the next step after first beginning your strengthening program with the MEDIball Single. 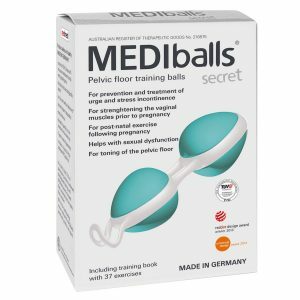 MEDIballs Secret – Double is a double weighted vaginal training device (kegel weight) used to further strengthen the female pelvic floor after beginning on the Single MEDIballs Secret. The Stringless MEDIballs provide soft stimulation and effective training of the pelvic floor using a trampoline effect. 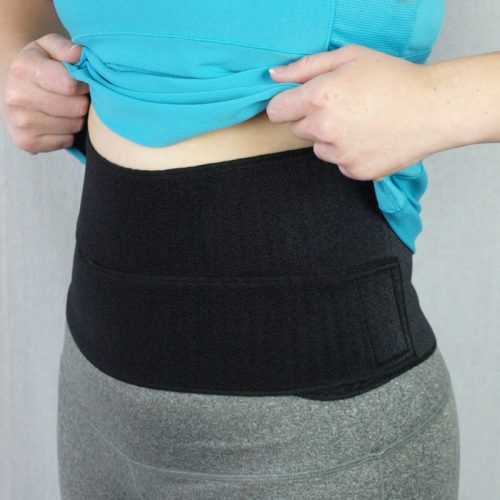 They help to raise awareness of your pelvic floor muscles and to actively control them, and are a preventive and supportive treatment for incontinence. They can also be used as a therapeutic training and rehabilitation tool for your weakened pelvic floor muscles following pregnancy. How does the MEDIballs Secret work? The MEDIball works on a “bio-feedback principle” (a reflective reaction of the muscles). The MEDIball contains a weight, which reacts to the movements of your body. Due to it’s own weight and it’s ergonomically adapted design, the MEDIball will probably slip out – which your pelvic floor muscles will try to prevent. The Contractions during a training session can be compared to strength training with weights. Moreover, the ball inside the MEDIball swings against the outer wall with each movement. Thanks to the innovative integrated “trampoline effect”, gentle “kinetic vibrations” are set in motion, which encourage your pelvic floor muscles to contract and relax. Just as with other forms of training, pelvic floor training can leave your muscles aching. You should therefore be careful not to train for too long initially, instead increase the duration of training gradually and continuously. The MEDIball Double is Step 2. You should only use this one if you already have very good pelvic floor strength, or if you are ready to advance from the MEDIball Single. If you have a dry vaginal environment, you may find the use of the BIOglide Lubricant helpful when inserting the MEDIballs. Warning: Please consult your Healthcare Professional before using MEDIballs secret if you have any serious medical conditions or concerns. Not recommended to be used during pregnancy.